1. 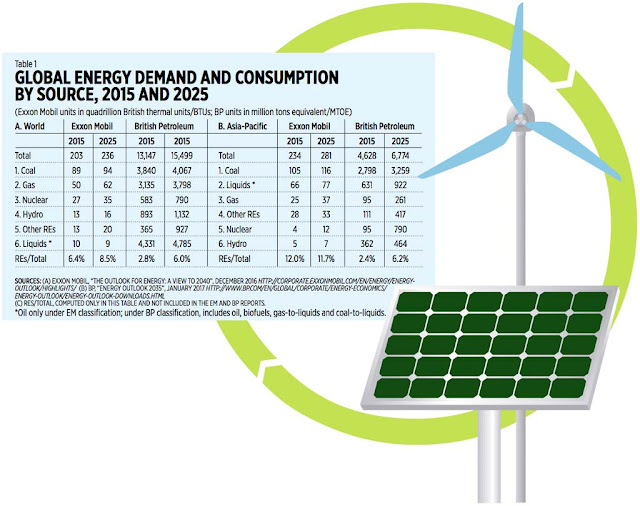 Solar, wind, biomass, and other REs will replace fossil fuels as major global energy sources in the near future. 2. The share of coal, gas, and nuclear will further decline as the world moves towards implementing the Paris Agreement of 2015. 3. 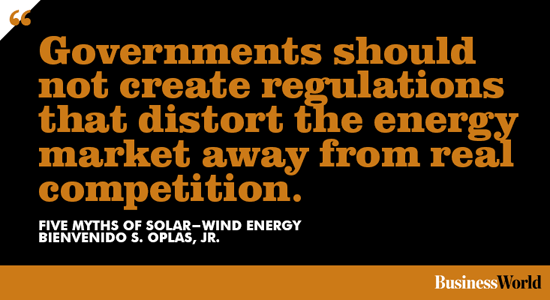 Solar and wind are cheaper than coal now, their overall costs will keep falling. 4. Solar and wind have no social cost (SC) while the SC of coal is very high. Since solar has a low capacity factor, only 18% of its installed capacity -- from 450 hectares of land with installed power of 300 MW -- can actually produce only around 54 MW. 5. Carbon dioxide (CO2) pollution and emission from coal power plants will further warm the planet.